Hello beautiful earthlings! It has been a while since I last posted anything (no surprise there)! Boots was (or maybe still is) having a 3 for 2 event on their makeup products and I just had to make the most of the opportunity since you get the cheapest product for free! I always get last product with the same price range as the two products to make the most of the value of my money. I have run out of foundation to use for months and the only face base makeup I use is my Etude House BB cream. 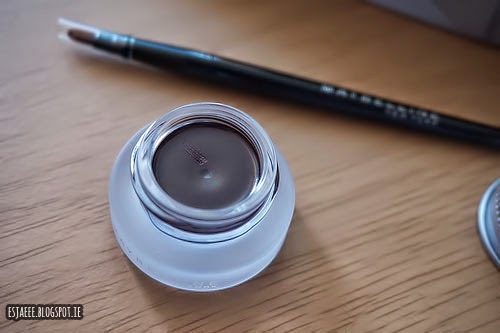 I used to use Shu Uemura's foundation but it was already 2/3 year old foundation that it broke me out. 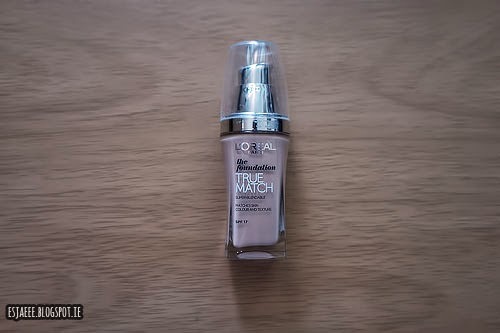 I have read and watched reviews of the True Match foundation by L'Oreal saying it really is a good drugstore foundation. I was kinda hesitant buying any drugstore foundation as it was so difficult to find the shade the matches my skin. But then again, even if I buy a high end foundation, the sales lady would always use a shade that is two shades darker than my actual skin tone and is more orange based. I guess it is because being tan is such a trend here in Ireland. I used L'Oreal's quiz to find my shade. Unfortunately, when I got to Boots, they did not have N3 Creamy Beige so I just bought the shade lighter which is N2 Vanilla. I tested it when I got home and it matched my skin perfectly. I tried the foundation during the weekend and I was so impressed! I have been fond of using brown eyeliner on days when I just want to go for that natural/no makeup makeup look. 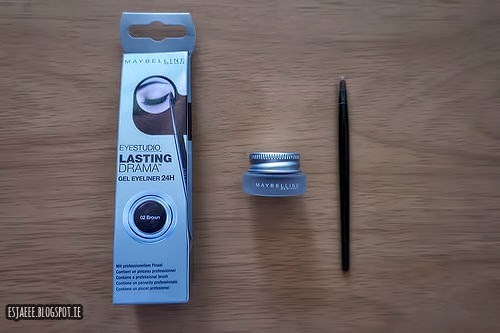 Maybelline Eye Studio Gel Liner was the only brown gel liner I have found in store since everything was almost out of stock. The colour is quite pigmented and softer than black. 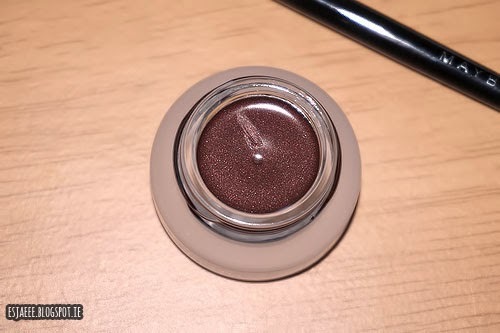 My camera could not pick up the tiny flexes in the gel liner so I took a photo with the flash on. I was quite disappointed to see sparkles in the pot since the packaging did not say that it would have them. 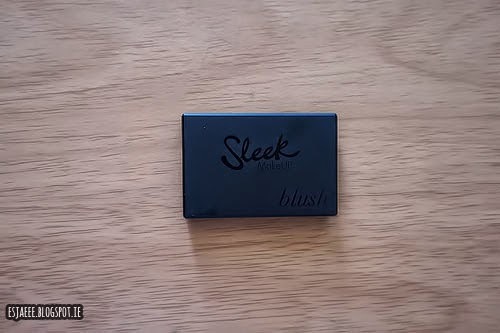 I have tried Sleek's blush called Rose Gold and loved it. Since I did enjoy using that blush, I told myself to get a new one. 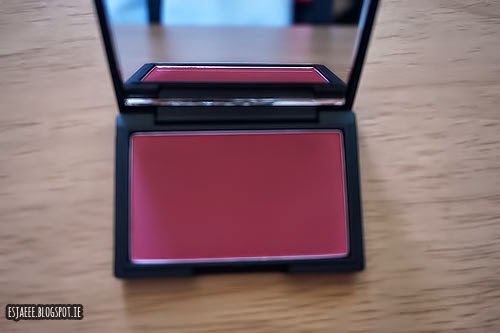 This blush is in the shade Flushed. 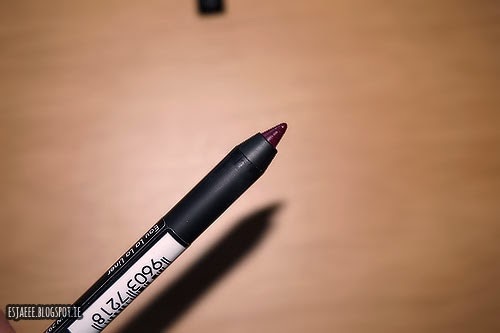 It is a deep rose to almost a burgundy colour and it is matte. A girl can never own too many lipsticks to be honest! 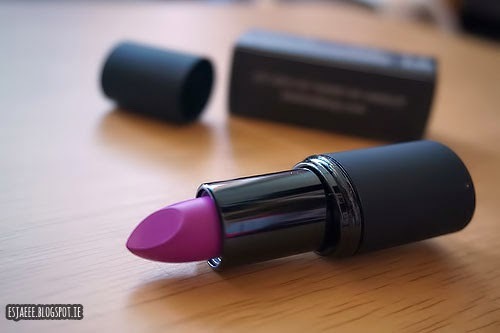 I have seen Bubzbeauty rock a purple-pink lip colour months ago and fell in love with the colour. She was using a lipstick from Mac and I can never afford that. 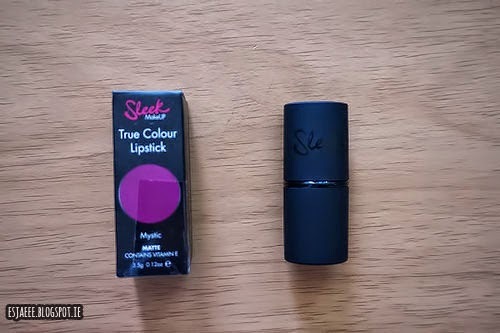 When I saw Sleek does the similar colour, I grabbed it! Sleek True Colour Lipstick in Mystic matte formula. I have not tried this one yet but my workmate said that it is really good. 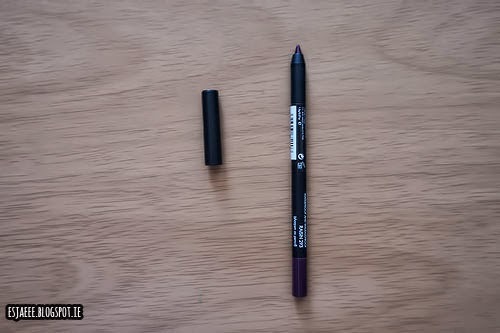 I also grabbed Sleek's Eau La La lip liner in Raisin since I own a couple of purple lippies and I want them to last longer. My camera is not picking up the lip liner's colour due to bad lighting so I took a photo with the flash on. Am I the only one who still sports purple lips when it's already Spring? 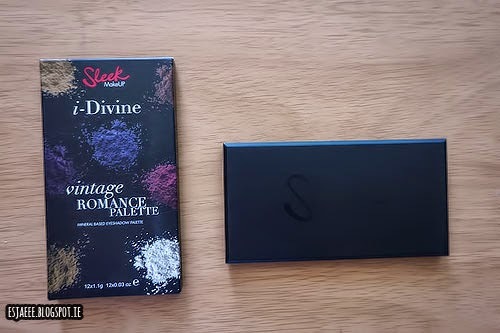 I have been eyeing this Vintage Romance palette way before Boots had Sleek in stores. 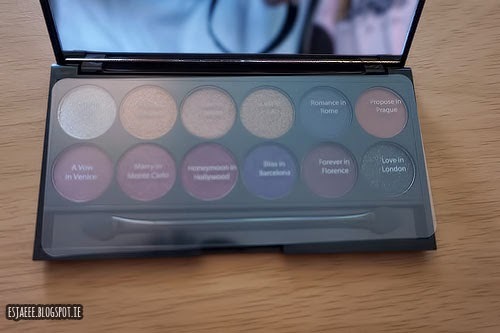 The names of the eyeshadows in this palette is just adorable! It does have that romantic vibe to it! 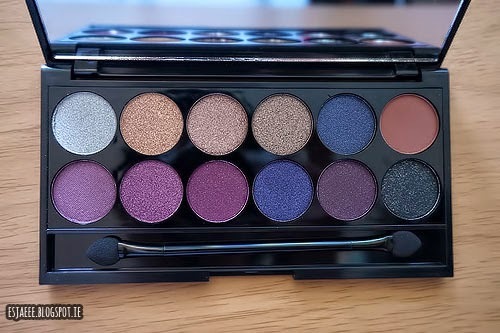 The colours of the eyeshadows in this palette just grabbed my attention when I first saw it in the Sleek website. Aren't they gorgeous? 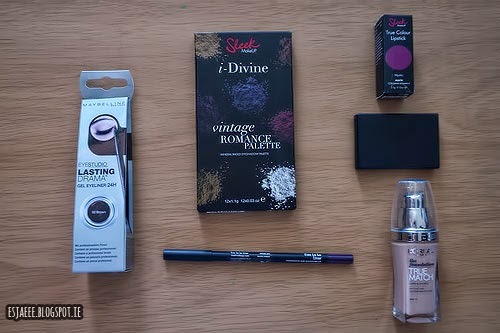 I would not really wear these colours on a dailty basis but I can't wait to try them soon! I hope you guys enjoyed this post and let me know what you think by leaving a comment. If you have any questions, don't hesitate to ask!